You are here: Home / At Home / Walt Life: Addiction Subscription Box review! 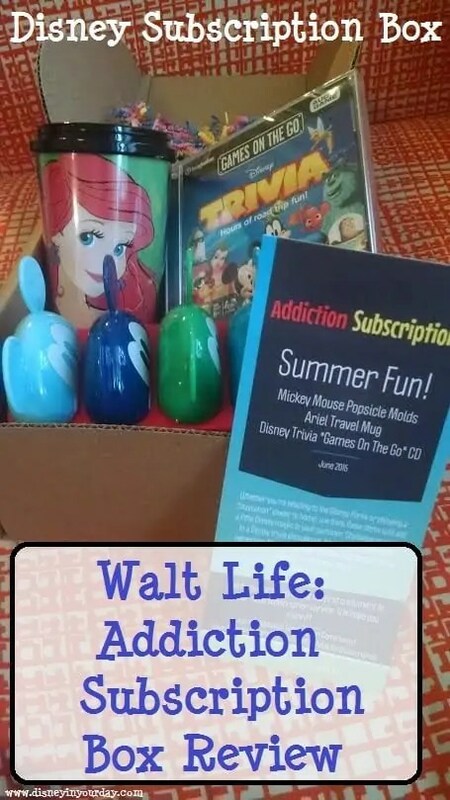 Walt Life: Addiction Subscription Box review! If you follow my blog, you know I love subscription boxes. If you’re not familiar with the concept, it’s a box around some sort of theme that gets sent to your house on a regular basis (usually once a month) and it’s filled with goodies for that theme. Most of the time the items in the box are a surprise, so it’s a fun way to treat yourself! There are subscription boxes with clothing like Stitch Fix, food (Love with Food), make up (Ipsy), geeky stuff (Loot Crate, Marvel Collector Corp) and almost anything you can think of. And now, there are some subscription boxes themed around Disney! 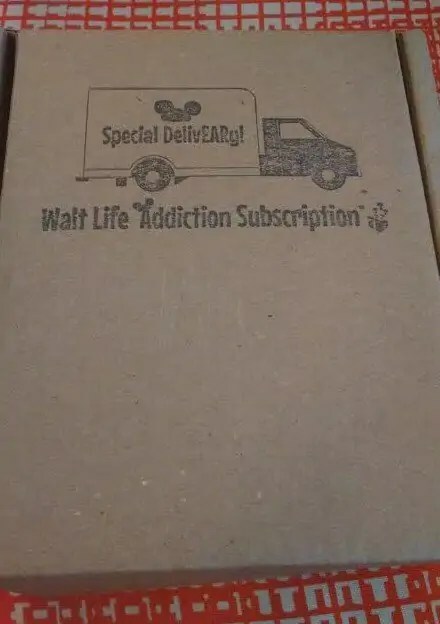 The website Walt Life has created Addiction Subscription. Once a month you get a box filled with at least 3 Disney goodies. The price is $34.95 and includes shipping, and the subscription can be cancelled at any time. They also do their Disney items around a theme. For example, the box I got, for June, was “Summer Fun.” The July theme will be “Patriotic.” I like the idea of doing a theme each month – it keeps things interesting! Ariel Tumbler (price unknown): This is a cute, sturdy looking tumbler. 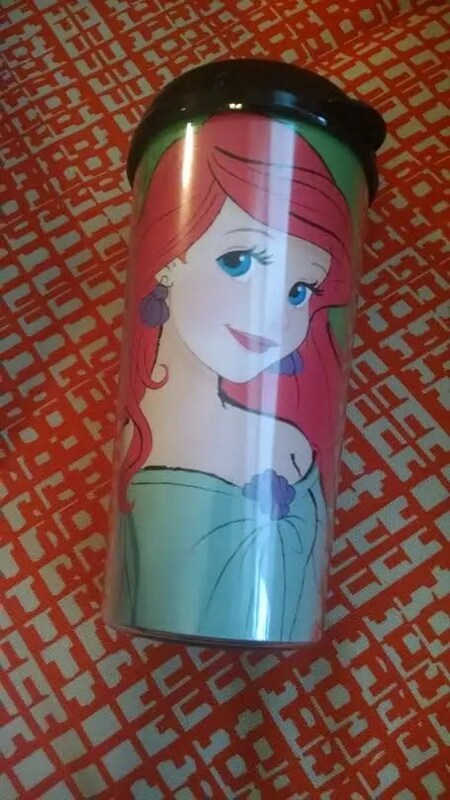 It’s got a fun picture of Ariel and what I like about it is that it is a design that can be appealing to both adults and kids. I’ve been needing a new tumbler! Mickey Mouse Popsicle Molds ($9.95): These are fun to make ice pops for the summer – I remember loving them as a kid! 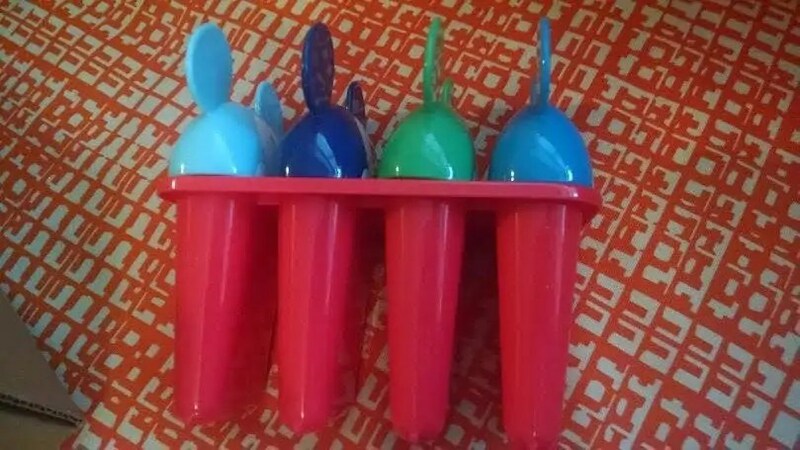 As it turns out I already happen to have two sets of these Mickey Mouse popsicle molds, so I will probably be passing it along to someone else that can use it. 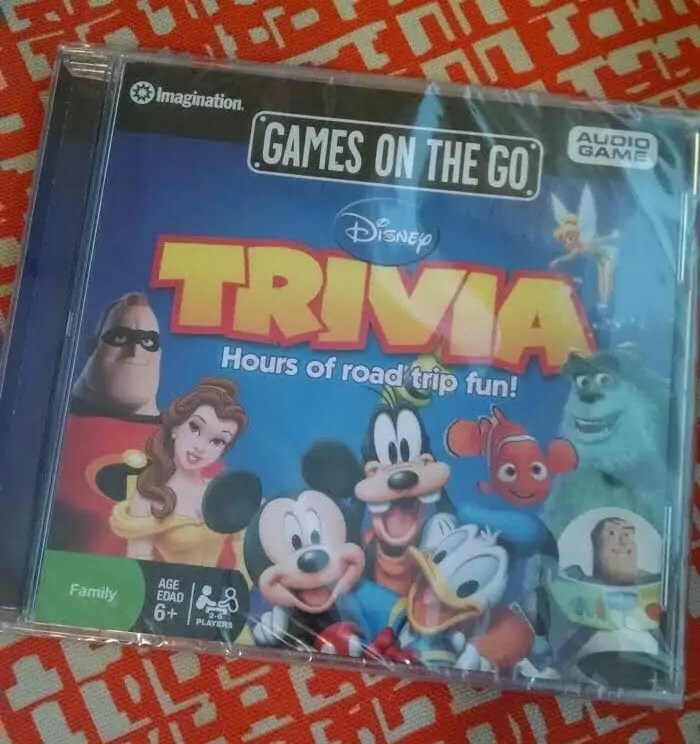 Disney Trivia “Games on the Go” CD ($7.98): This is actually something else I already own, funny enough, but I do love it! It’s a trivia CD that’s great for road trips. The difficulty level of the questions varies, so that even adults can have fun with it – my husband and I have played it before. One thing to note about this is that I’ve had it for quite awhile so I looked at the copyright date – it was made in 2008, so be aware that a lot of the more current movies won’t be on it. If your kids have only watched the recent films they may not know much about the trivia on here. Overall I thought it was a fun selection of items that are great for summer. I personally might like a couple more smaller items rather than having three “big ones” – that would increase my chances of getting things I didn’t already have. With 3 items in the box and two of them were things I already owned, it would have been fun to get more new stuff. But it was still a really fun package to get! For my other subscription boxes I often do a “price analysis” to see if I’m getting my money’s worth from the box. I feel like for this one that’s difficult to judge. With other boxes I want the monetary value of the items to be higher than the cost of the box – otherwise what’s the point, since I could buy them individually for less. However, a lot of subscription boxes exist by getting samples donated from companies. Disney is not going to be donating stuff to boxes like these, so they have to make their money somehow. The real value is in getting a fun box of Disney stuff delivered to your door each month! If you can’t get to the Disney parks on a regular basis and you love surprises, look into Addiction Subscription! Based on this box they do a great job of picking out stuff that will appeal to all Disney fans, regardless of age or gender. Would you be interested in receiving a Disney subscription box?